Dubai’s residential market is continuing to feel the pressure of property oversupply according to analysis from leading international property company Chestertons latest Observer: Dubai Q2 2018 report. Overall rental rates for apartments and villas softened by 4% and 2% respectively quarter-on-quarter, while sales prices for apartments fell by 1% compared to the last quarter and average villa sales prices remained flat during the same period. As affordability continues to dominate the residential sector, it was the mid-market segment which witnessed the largest uptake as it appears one-time tenants took advantage of a range of flexible and affordable payment plans and opted to buy. “Affordability has undoubtedly been one of the top trends so far this year. What we’re witnessing, especially with the large amount of supply entering the market, is that developers are focusing on the investment-active, mid-market segment through a range of flexible payment options and smaller units to keep prices attractive; piquing the interest of would-be investors,” said Ivana Gazivoda Vucinic, Head of Consulting and Valuations and Advisory Operations, Chestertons MENA. From an apartment sales perspective, Business Bay rebounded well after recording a 9% decline last quarter, the steepest in Dubai during that period, notching a 4% increase to AED1,226 per sqft. This figure, however, was still below the Q2 2017 price of AED1,268 per sqft. Jumeriah Village Circle was another standout performer this quarter increasing 6% to AED871 per sqft having bared the brunt of an 8% decrease in Q1. 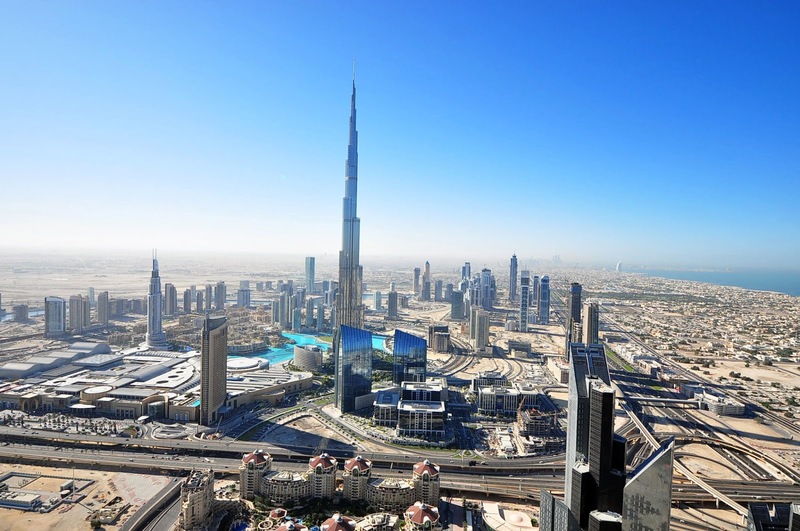 Dubai Motor City was the only other area which saw growth, increasing by 2% to AED822 per sqft. 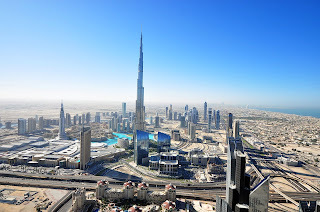 International City saw the steepest decline at 7%, with prices dropping to AED589 per sqft, while The Greens fell for the fourth quarter in a row by 2% to 1,077 per sqft. In the villa sales market, quarter-on-quarter Palm Jumeriah was the only area which saw an increase, with prices up 4% to AED2,298 per sqft. Arabian Ranches, Jumeriah Park and The Lakes all witnessed softening of 2%, 3% and 1% respectively, while The Meadows and The Springs remained flat. Once again in the rental market, Q2 declines were spread across different unit types. Previously the declines were most prominently felt in larger units however this quarter, it appears all unit types are susceptible to falling prices. In The Greens, one bedroom apartments fell by 9% to AED72,000 per year, whereas a three-bedroom apartment in the same area increased by 3% to AED144,000 per year. The greatest decline in apartment rental rates was Dubai Sports City, dropping 7% with a one-bedroom unit available for AED57,000 per annum. This was closely followed by Motor City and Jumeriah Lake Towers where declines of 6% were witnessed, with the cost of renting a one-bedroom apartment now priced at AED71,000 and AED77,000 respectively. Villa rents saw the highest decline in The Springs and Victory Heights at 4%, followed by Al Furjan and Jumeriah Village Triangle at 2%. The Meadows, Jumeriah Islands and Jumeriah Golf Estate all decreased by 1%, while Arabian Ranches was the only community to increase in price, by 1%. A two-bedroom villa in Arabian Ranches is priced at AED133,000; in The Springs the price is AED115,000; in The Lakes the cost is AED163,000; and in Jumeriah Village Triangle the cost per annum is AED140,000. For larger units, five-bedroom properties in Jumeirah Golf Estates, Jumeriah Islands and The Lakes were the most expensive at AED390,000, AED350,000 and AED315,000 respectively. “The average decline in rental rates can be attributed to several factors, including greater choices at reduced prices. The focus for developers and landlords going forward should be on quality, as tenants proactively seek out cheaper options or move to better quality units for the same price as their existing units,” said Vucinic. لا يزال قطاع العقارات السكنية في مدينة دبي تحت تأثير زيادة المعروض من العقارات وفقاً لتقرير حديث أصدرته شركة تشيسترتنس العالمية الرائدة حول واقع القطاع العقاري في مدينة دبي خلال الربع الثاني من العام 2018. حيث انخفض متوسط إيجارات الشقق والفلل في مدينة دبي بنسبة 4٪ و2٪ على التوالي خلال الربع الثاني، فيما انخفضت أسعار مبيعات الشقق بنسبة 1٪ مقارنة بالربع الأخير، وحافظت أسعار مبيعات الفلل على استقرارها خلال الفترة نفسها. وبهذا السياق قالت إيفانا جايفيفودا فوسينيك، رئيس قسم خدمات الاستشارات والتقييم والعمليات الاستشارية في شركة تشيسترتنس الشرق الأوسط وشمال أفريقيا: "شهد القطاع العقاري من الفئة المتوسطة ​​أكبر قدر من الإقبال خلال هذا العام. ومع الحجم الكبير للمعروض الجديد الذي يدخل السوق، يركز المطورون بشكل أكبر على الاستثمار في العقارات من الفئة المتوسطة من خلال توفير مجموعة متنوعة من خيارات السداد المرنة والوحدات ذات المساحات الأصغر لتقديم أسعار جذابة مما يثير اهتمام المستثمرين المحتملين". وسجلت منطقة الخليج التجاري انتعاشاً في قطاع مبيعات الشقق بعد تسجيلها انخفاضاً بنسبة 9٪ في الربع الأخير، وهي أكبر نسبة انحفاض في مدينة دبي خلال تلك الفترة، محققة زيادة بنسبة 4٪ لتصل الأسعار إلى 1,226 درهم للقدم المربع. وسجلت منطقة جميرا فيليج سيركل زيادة في أسعار مبيعات الشقق في الربع الثاني بنسبة 6٪ لتصل إلى 871 درهماً للقدم المربع، بعد أن سجلت نسبة انخفاض بلغت 8٪ في الربع الأول. وشهدت منطقة موتور سيتي ارتفاعاً بنسبة 2٪ لتصل الأسعار إلى 822 درهماً للقدم المربع. فيما سجلت منطقة إنترناشيونال سيتي أكبر انخفاض بنسبة 7٪ لتبلغ الأسعار فيها 589 درهماً للقدم المربع، وانخفضت الأسعار في منطقة الروضة للربع الرابع على التوالي بنسبة 2٪ إلى 1,077 درهماً للقدم المربع. وذكر التقرير أن منطقة نخلة الجميرا هو الوحيدة التي شهدت ارتفاعاً في أسعار مبيعات الفلل بنسبة 4٪ لتصل إلى 2298 درهماً للقدم المربع. وقد شهدت مناطق المرابع العربية وجميرا بارك والبحيرات انخفاضاً بنسبة 2٪ و3٪ و1٪ على التوالي، فيما حافظت الأسعار في مناطق السهول والمروج على استقرارها. أما على صعيد الإيجارات، فقد انخفض متوسط إيجار الشقق بغرفة نوم واحدة في منطقة الروضة بنسبة 9٪ لتصل إلى 72,000 درهم سنوياً، فيما ارتفع متوسط إيجار الشقق بثلاث غرف نوم في المنطقة نفسها بنسبة 3٪ لتصل إلى 144 ألف درهم سنوياً. وسجلت مدينة دبي الرياضية الانخفاض الأكبر في متوسط إيجارات الشقق في مدينة دبي خلال الربع الثاني بنسبة 7٪، ليصل معدل إيجارات الشقق بغرفة نوم واحدة إلى 57،000 درهم سنوياً. تليها موتور سيتي وأبراج بحيرات جميرا بنسبة انخفاض بلغت 6٪، ليصل معدل إيجارات الشقق بغرفة نوم واحدة إلى 71,000 درهم و77,000 درهم على التوالي. وشهدت إيجارات الفلل أعلى انخفاض في منطقتي الينابيع وفيكتوري هايتس بنسبة 4٪، تليهما الفرجان وجميرا فيليج بنسبة 2٪. فيما انخفض متوسط الإيجار في مناطق المروج وجزرا جميرا وجميرا جولف استيتس بنسبة 1٪، في حين كانت المرابع العربية هي المنطقة الوحيدة التي ارتفع فيها متوسط الإيجارات بنسبة 1٪. ووصل معد إيجار الفيلا المكونة من غرفتي نوم في منطقة المرابع العربية إلى 133,000 درهم؛ وفي منطقة الينابيع 115,000 درهم؛ وفي منطقة البحيرات 163,000 درهم؛ وفي جميرا فيليج تريانجل 140,000 درهم. أما بالنسبة للوحدات الأكبر، فقد بلغ متوسط إيجارات الفلل بخمس غرف نوم في جميرا جولف إستيتس وجزر جميرا والبحيرات 390,000 درهم و350,000 درهم و315,000 درهم على التوالي.